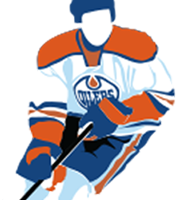 Craig Mactavish and the Edmonton Oilers have selected Darnell Nurse 7th overall in the NHL entry draft. I honestly expected the Oilers would pick Nishushkin when they came to the podium with him still available and was actually a little disapointed when they didn’t. I was however very releved that they used the pick rather than use it as a package to obtain Cory Schneider from the Canucks. There were rumors that the Oilers were offering the 7th overall pick plus a top prospect to Vancouver for Schneider but for whatever reason the deal didn’t go through. There were looks of surprise from the Oilers table at the anouncment of the trade of Schneider to the Devils for just the 9th overall selection. I beleive that the Oilers dodged a bullet when that deal fell apart as they would have been overpaying for a goalie who is under contract for only 2 more seasons. The Oilers are in desperate need of depth at forward so it was a surprise that they chose a D-man with Nishushkin and Horvat still on the board but Nurse will move in behind Oscar Klefbon on the depth chart giving the Oilers a tremendous group of prospects. Expect Nurse to spend at least 1 more season in Jr before he can legitematly challenge for a position the with the Oilers. This entry was posted in Draft, Uncategorized on June 30, 2013 by jtunnicliff.